- Injury Report: For the Raptors, Jonas Valanciunas (left thumb dislocation) and OG Anunoby (personal reasons) are out. For the Kings, the injury report is to be determined. - Rolling at home: Toronto enters Tuesday’s game on a season-high nine-game winning streak at Scotiabank Arena. The franchise record for consecutive wins at home is 12 straight. This will be the final game in a three-game homestand, with the team heading out on a three-game road trip with stops in Indiana, Houston and Dallas before returning to Scotiabank Arena to host the Milwaukee Bucks on Jan. 31. The game will be a back-to-back for the Kings who dropped a 123-94 decision to the Nets in Brooklyn on Monday. - Recent history: This is the final regular-season meeting between the Kings and Raptors. Toronto won 114-105 in Sacramento on Nov. 7 to complete a four-game sweep of a West Coast trip for the first time in franchise history with victories in Phoenix, Los Angeles (against the Lakers), Utah and Sacramento. Kawhi Leonard had 25 points and 11 rebounds in the win, with Pascal Siakam adding 21 points and Kyle Lowry finishing with 16 points and eight assists. The Kings were led by Willie Cauley-Stein and Buddy Hield who each scored 24 points in the loss. 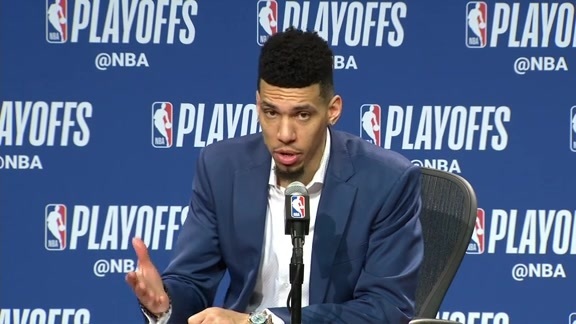 - DG for three: Danny Green tied his career-high with eight made three-pointers in Toronto’s 119-90 victory over the Memphis Grizzlies on Saturday. Green finished with a season-high 24 points thanks to a wild third quarter where the Raptors outscored the Grizzlies 45-14 and Green exploded for seven of his eight three-pointers, setting a franchise record for three-pointers in a quarter. He finished 8-for-12 from beyond the arc. On the season, Green leads the Raptors in three-pointers, with 106 made threes on 42 percent shooting. He is also first in the league in +/- rating (+405). - Stealthy defence: In addition to holding the Grizzlies to just 90 points on Saturday, the Raptors recorded 19 steals, setting a new franchise record. Five Raptors players recorded multiple steals, led by C.J. Miles who tied a career-high with five steals. Miles also tied a season-high in scoring, finishing with 13 points in his second consecutive game since returning from a three-game absence due to a sore right hip. - Still Spicy: Pascal Siakam followed up the first game-winner of his career with another solid night at the office, finishing with 17 points, eight rebounds, two assists, and a steal against the Grizzlies. Still, the most eye-popping note about his night is that the Raptors were a +40 when he was on the floor. As the season continues so does Siakam’s growth and impact on both ends of the floor. He is now averaging 15.0 points, 7.0 rebounds, 2.9 assists, 1.0 steals and 0.7 blocks a night while shooting 57 percent (14th in the league) from the floor.